The summer fayre at Kilnwick Percy Hall will take place on Sunday 24 June. The annual summer fayre at Kilnwick Percy Hall takes place later this month. The fayre will be held at the venue on Sunday 24 June between 11am and 4.30pm. 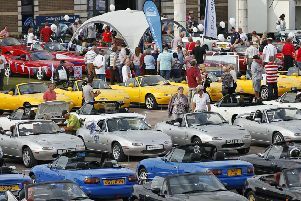 Entry to the event is free and there will be plenty of parking for visitors. There will be the usual fun and traditional fayre games for the children, including bouncy castle and the famous waterslide alongside craft stalls and house tours.